http://thefoolishobsession.com/tag/skin-cancer/ If you can picture it this is Emma saying “Thank You Dad.” What had I done for her, I gave her meat for dinner. Its really cute. http://maientertainmentlaw.com/?search=prednisone-side-affects-muscle-cramps When I first sat down I caught myself trying to explain how difficult a day we had trying to decide whether or not to send Emma down to Orlando. Yes it was a difficult decision but if I am being honest we are privileged to be able to make these decisions. It was definitely not an easy decision, but I guess it isn’t the hardest decision we have ever faced. http://cinziamazzamakeup.com/?x=acquistare-viagra-online-generico-a-Venezia This past weekend definitely didn’t go as planned as Brent and Emma went to get blood tests done Friday morning just to make sure she was healthy enough to head to Orlando. Everyone was upset to find that Emma’s ANC count had dropped from 1.58 to .33 and her platelet counts were dangerously low as well. Her doctors were concerned enough that they had us head back to Childrens Hospital where Emma was given a bag of platelets. While the transfusion went well we were informed that Emma would be unable to safely go to Orlando with her counts the way they were. If her counts were low in one area they would be comfortable sending her but with having two different weeknesses would probably be too much for her. 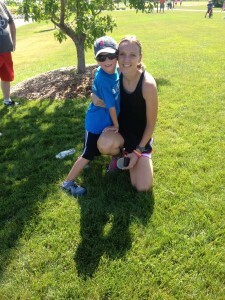 source Some amazing families that are also battling Pediatric Brain Tumors at the Uplifting Athletes run this morning. 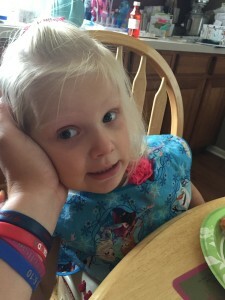 http://maientertainmentlaw.com/?search=lowest-propecia-1-mg After much deliberation and also communicating with Make-A-Wish we decided we were going to check her counts again in the ER on Sunday to see which way her counts were headed. Make-A-Wish has been absolutely wonderful and so understanding as we try to figure this all out. 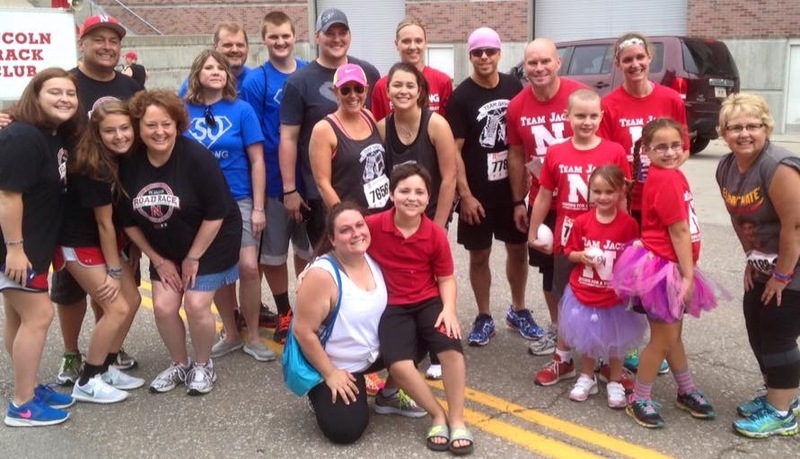 Another negative about the counts were this meant Emma would be unable to go to the EmmaStrong 5k Fun Run that was held in Kearney, NE as well as the Uplifting Athletes Run held in Lincoln, NE. Kathryn and Aiden got to enjoy the trips while Brent and Emma stayed home and tried to recover. dove acquistare viagra generico 100 mg a Venezia We had a great turn out for the 5K in Kearney on Saturday. We can’t thank those of you who took time to be there and support Emma as well as help to raise awareness and funding for pediatric brain tumors. Days like that where you see such an outpouring of support are so moving and mean so incredibly much to us. 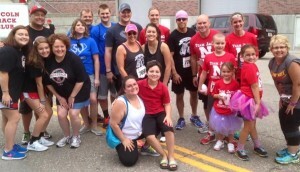 We have to say a very special thank you to our friends in Kearney who organized the run/walk. You guys did an amazing job and we are beyond blessed to have friends like you! New strategies and countless hours of advertising allowed the Fun Run’s participation to almost double from last year. It is always great heading back to Kearney to see all the friendly faces from college and beyond. I promise these funds will be used wisely in developing new treatments for kids in the battle of Pediatric Brain Tumors. 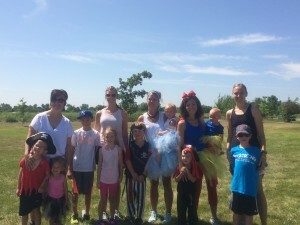 A quote from Leah Carrera at todays uplifting athletes run has stuck with us “It wasn’t the Tumor or Cancer that ended Gigi’s battle rather but the side effects of the treatments.” With the technology available and the research that is being done, it is our job to fight to make sure the same efforts are given to Pediatric treatments. So thank you to everyone who took part in the run this weekend and for continuing to help make a difference for these kids. http://maientertainmentlaw.com/?search=real-viagra-online-pharmacy Some of the organizers of the Emma’s 5K Fun Run. Thank you guys so much. get canadian propecia discount Kathryn and Aiden also stopped in Lincoln today on their way back from Kearney to take part in the Uplifting Athletes Road Race. It was an awesome event with over 700 runners. We really enjoyed catching up with our fellow brain tumor families. It is always so good to see them. The road race today was an amazing showing of how supportive the state of Nebraska and the University of Nebraska is in helping to raise awareness. follow site Now for what everyone is curious about…the results of todays blood work showed that her ANC count actually dropped again to .29 but the level of her white blood cell counts showed signs of recovery. Her platelet counts jumped considerably but that alone could be from the transfusion she recieved on Friday and may drop again if she isn’t producing platelets herself. Our doctor felt it is a 50/50 shot on how she will do. Emma’s counts may be rebounding and she may do fine; however there is also the chance that her counts aren’t rebounding yet. She said if we decide to go, we need to go to the hospital in Orlando on Tuesday to have counts done. If her platelets are not reproducing themselves then it will be clear by Tuesday. If her counts are low again she will need another transfusion of platelets. It is also very worrisome since her ANC is so low that if she were to get a fever or get sick she would more than likely be admitted to the hospital while we are there because her counts are so poor. It was with this information that we discussed the probability of a better opportunity for Emma to be prepared versus continuing on with our planned trip. If only we had a crystal ball and could see what the future holds! After much discussion we decided we would go ahead with the trip. We had a very difficult time deciding if going now or waiting would best for Emma. Emma has been acting very well today and unfortunately her counts are going to continue to be a problem as long as she is on this treatment. Our biggest concern is that we want Emma to be able to enjoy her trip. After much consideration we decided to go ahead with the trip. We have no idea if this was the right decision or not, only time will tell. Please pray that Emma’s counts will continue to improve, that we will avoid a hospital stay, and that she will have an amazing time. Thank you so much for all of the prayers and messages these last few days, we appreciate your support more than you know!